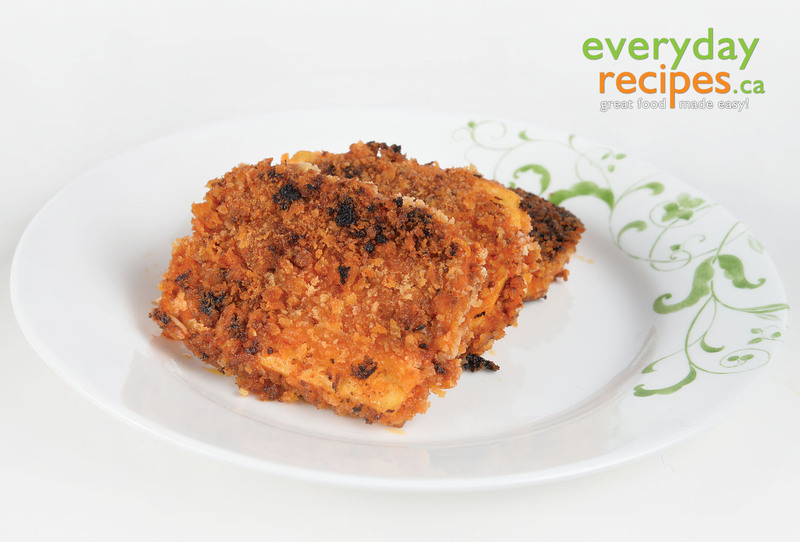 Mix all the marinade ingredients together and dip the tofu slices in it such that itâ��s fully coated. Then dip the slices in the breadcrumbs. Heat the oil in a frying pan over medium-high heat and fry the breaded slices until they are golden brown on both sides. Serve with your favourite dip.